Capoeira is a Brazilian martial art, which combines fight, music, acrobatics and dance. 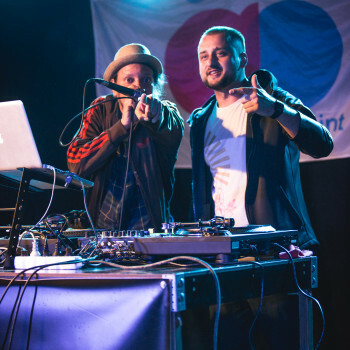 Vem Camara Club operates in several Slovak towns such as Komárno, Nové Zámky, Galanta, Senec and Nitra. 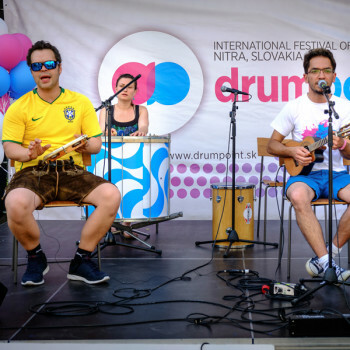 Tambores is the youngest drum band in Slovakia. 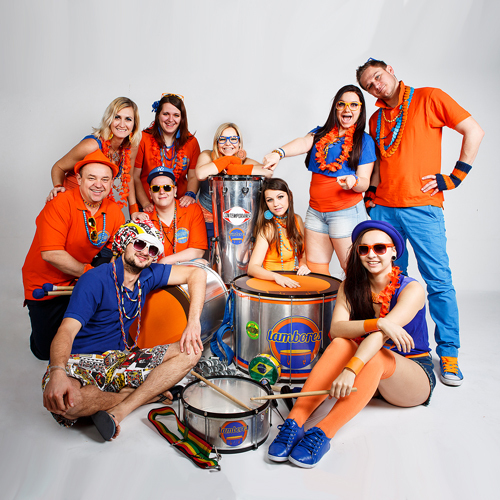 Even though the orange & blue band exists only for a short time, all its members have already played drums and percussion before. 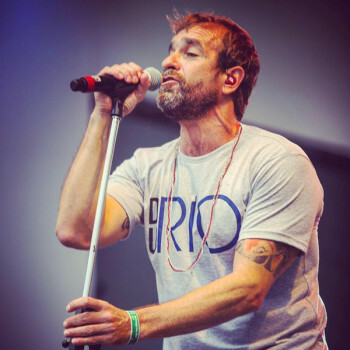 To see and to hear is definitely better than just read about it. 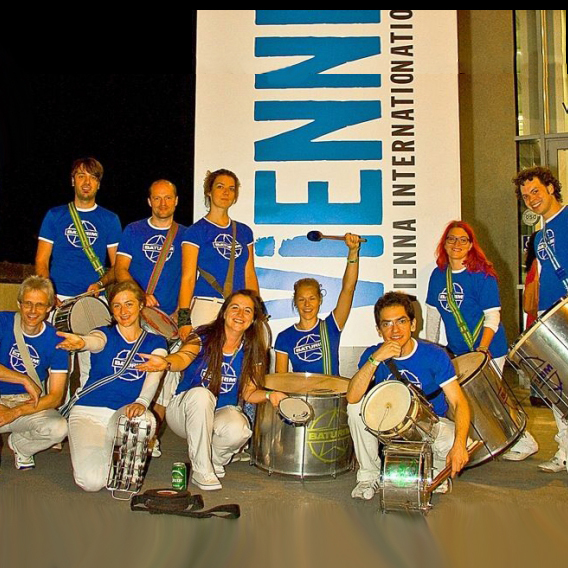 Follow the festival programme and never miss any of the performances! 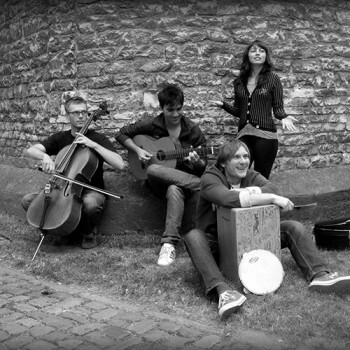 Colorful People is a group of young, talented and well-experienced professional musicians, who met at the school of music called Conservatory of Jaroslav Ježek in Prague, Czech Republic. 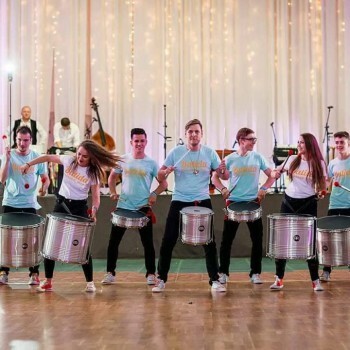 Ritmo Bloco, one of the biggest samba batucada group in Poland, is an open school founded in Warsaw in 2012 and led by Miki Wielecki, Ritmodelia’s frontman. 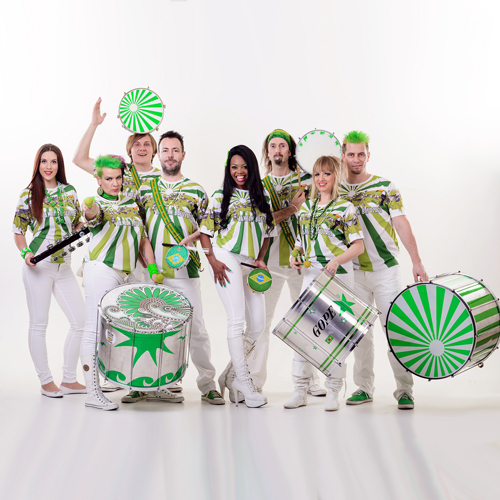 Tam Tam Batucada is a drum show from Prague, which plays carnival samba from Rio de Janeiro and Bahia. 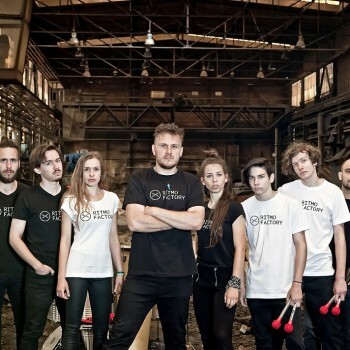 Our orchestra consists of drummers and percussionists only. 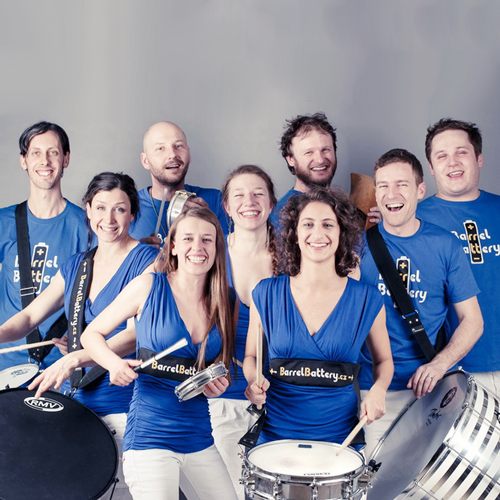 Barrel Battery was founded in 2009. 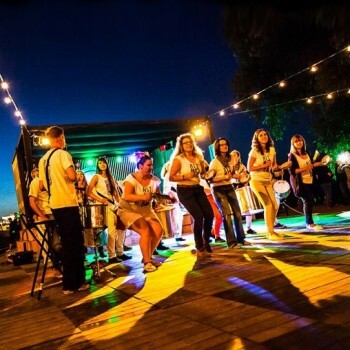 In their production the musicians are inspired by the sounds of Brazil drums and traditional Brazil orchestras. 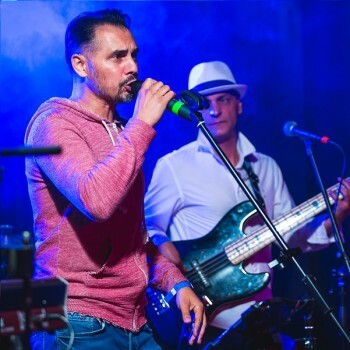 When a music loving painter met drums and percussions, Tam Tam Batucada was born. 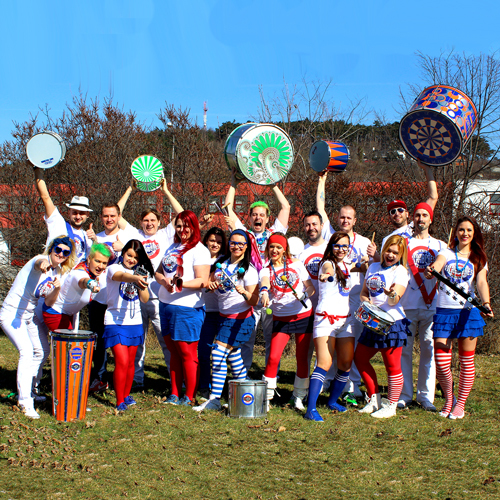 And when Tam Tam Batucada met Tambores, Tamtambores Unidos were born. They are Czech and Slovak perucssionists. 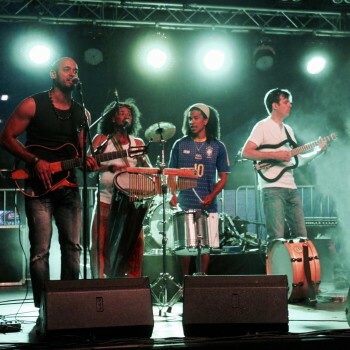 The repertoire contains mainly samba and other music genres from Brazil, with the touch of jazz and African themes. 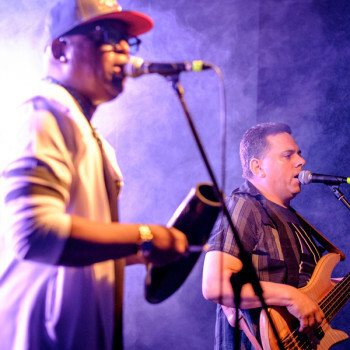 Iansamba performs mainly in Prague. 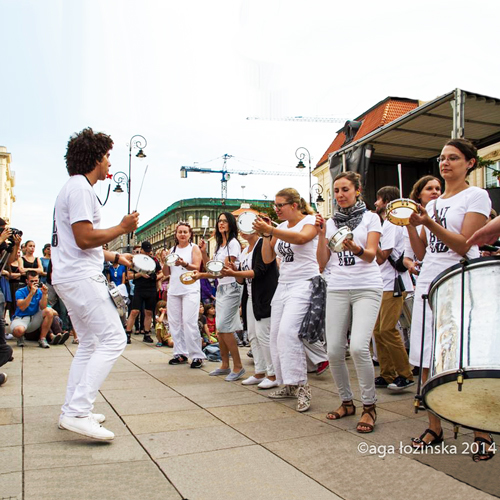 Bloco de Samba Girassol was founded in 2010 by a handful of Hungarian samba-lovers. 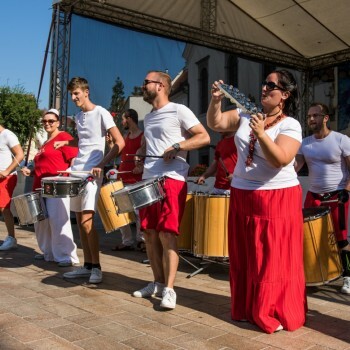 Some members have been playing samba for more than 10 years. 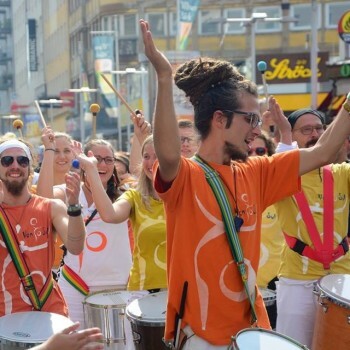 Vanguardia is the most advanced group of the open school of samba batucada – Ritmo Bloco. 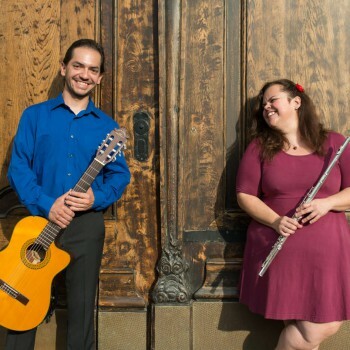 During separate intensive rehearsals, they prepare original repertoire.